“As Victoria, Elise May had the maturity to give a depth to her portrayal of the tortured dancer, as well as the requisitely beautiful feet and legs to show off those red shoes in sometimes fast, intricate footwork. Jack Ziesing gave a sensitive portrayal as her Lover and was plasticine pliant; his first love duet with May a sinuous melange of controlled, entwining lifts”. “Benjamin Chapman and Elise May, long-time EDC favourites, pull off a crafty piece of theatre as the dark man sinking into addiction and the lonely woman realising her love is slipping away. It’s obvious these two have worked together for years. They trust each other completely, allowing them to take the choreography to the next level… The strength and athleticism of EDC’s dancers, as always, are first class, showing human fragility through powerfully emotive dance. 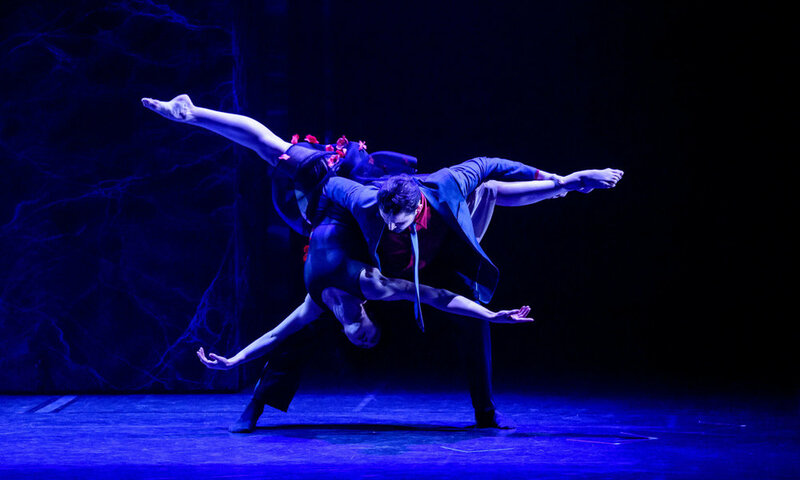 Their bodies illuminate the raw emotion of their characters, yet making complex lifts and manoeuvres seem effortless”. 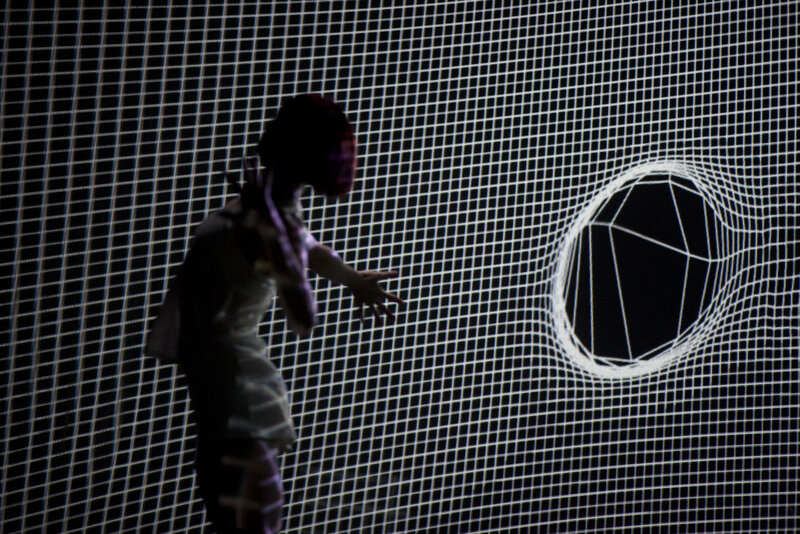 "The installation was an immersive, engaging experience that was unlike anything I had ever seen before"
"Dancer Elise May partnered with animator Paul Van Opdenbosch to bridge the gap between physical and digital and create experiences that are entertaining and innovative. Their research uses technology and the body in new and interesting ways to create an entirely new audience and performer experience". “Jack Ziesing portraying gluttony and Elise May embodying lust proves a scintillating pairing – both dynamic and unapologetically honest in their sinful behaviour. Driven by a desire to consume more than one needs and a craving for the pleasures of the body, their ripped bodies heat up the Playhouse Theatre at QPAC. Writhing across the floor and contorting their bodies with stunning versatility, they give into their indulgent sins with little regard to anyone around them”. “In this scene, May seems to represent Love, rather than the coldly seductive Lust she portrays earlier with awe-inspiring grace and control. In her gold costume, she looks like a princess from some ancient world”. “Elise May was mesmerising as Lust – wheeled onto centre stage, standing sarcophagus-like in her box, and swathed in a gold, she was hypnotic, sinuous and predatory”. “Elise May was likewise mesmerising with her finely nuanced portrayal of the betrayed Hostess. The multi-faceted tensions of her relationship with The Host were revealed in two beautiful duets of broad movement and controlled lifts. This is where Weir shines, as she takes the basic choreographic construct of contact improvisation and pushes it to dangerous extremes”. “Elise May’s performance of Victoria was perfection. She brought experience, maturity and grace to the role. May was versatile in the demanding role of Victoria, with the dream sequence as one of my favourite pieces”. 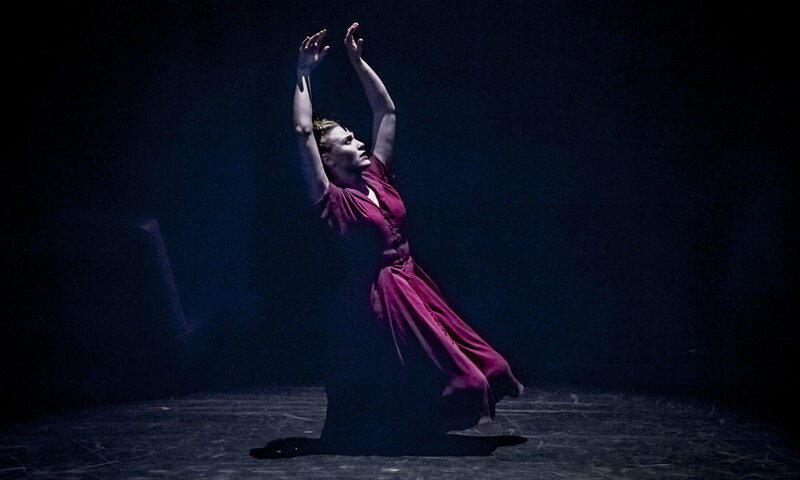 “Elise May is the Cate Blanchett of Australia’s contemporary dance scene”. “May is a wonderfully expressive dancer, able to embody both the fragile, as well as the strong and dominating. Physically taller than the others, she easily commanded the space with chiselled but sinuous movement, oozing smouldering tension”. “Elise May’s exquisite hovering between life and death in the “cardiac duet” demonstrated this mature artist’s striking and memorable emotional and physical control”. “Elise May, as the Grandmother, again gives a restrained, beautifully nuanced performance, encapsulating both wisdom and physical frailty of age”. “Elise is a striking dancer with a clear talent and skill for this demanding art form. This was an edge of your seat piece that had you breathless from start to finish”.